Kamui Kobayashi will retain his Caterham seat for his home grand prix in Japan, while Roberto Merhi gets another outing in Friday practice. Kobayashi's seat has been confirmed on a race-by-race basis since he was replaced by Andre Lotterer for the Belgian Grand Prix in August. 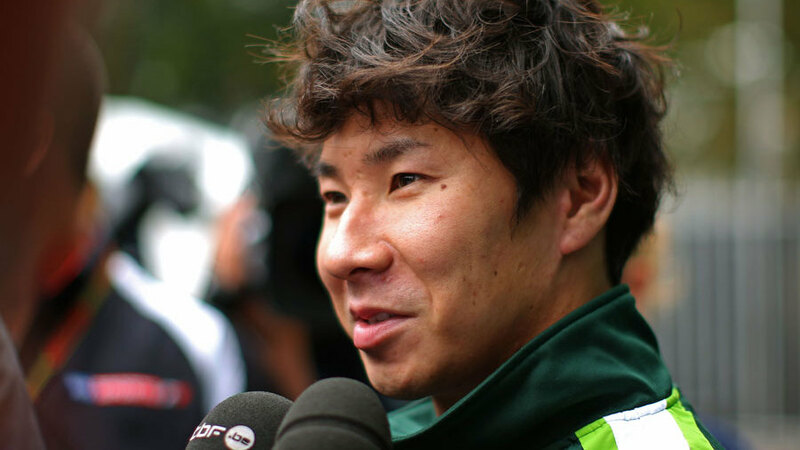 This will be Kobayashi's third weekend in the car since then, coming on his home Suzuka track where he scored his only F1 podium in 2012 with Sauber. "I'm very excited to be back in front of all my Japanese fans and racing at Suzuka; I've been waiting for this race for over a year," Kobyashi said. "The Japanese Grand Prix and Suzuka have always been very special for me: it's where I experienced my first F1 Free Practice sessions back in 2009 and where I also achieved my first ever Formula 1 podium finish in 2012 and, this year, I am able to come back to Suzuka thanks to the support I received from my fans. "This means a lot to me and I would like to thank them all once again. I only have positive feelings going into this weekend. Unfortunately, this year I have to admit that I won't be fighting for a podium, but I will do my best to reward my fans with a strong performance in order to thank them for their enormous support - I look forward to meeting them all there." Merhi made his F1 debut with the team during FP1 at Monza and will replace Marcus Ericsson for Friday's session in Japan. The Spaniard says he is excited to have another chance to show Caterham what he can do. "I'm very happy to be driving in another FP1 session with Caterham. I want to thank the team for this opportunity - after my first outing a month ago in Italy, I am now looking forward to another 90 minutes in the car. I will not be starting from zero like last time, so I will be able to get up to speed quicker. "I have never driven in Japan, so I will need to learn the track at the same time as I continue to get used to the car, but it's a dream come true to be able to drive at such a special track like Suzuka, I just can't wait for it to be Friday!"